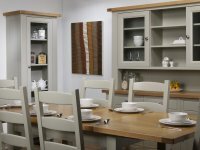 The image above shows the Charltons Furniture Bretagne oak 3 door 3 drawer sideboard along with the corner display top with light and corner base unit. 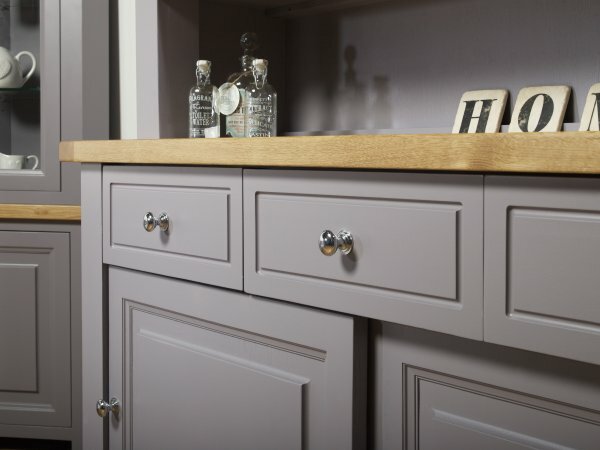 The collection has solid oak drawer surrounds with dovetail joints and a synchronised runner system allowing easy opening and internal insert storage. 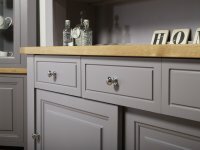 The pieces are displayed here in a grey painted finish painted finish and with Satin Lacquered finish wooden tops with the chrome round handle option. 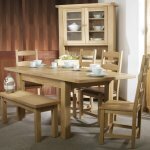 For the sizes and prices of the pieces shown along with the different finish and handle options click here for the main Charltons Bretagne dining furniture page. 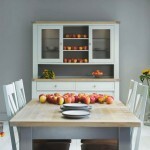 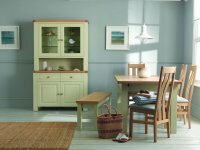 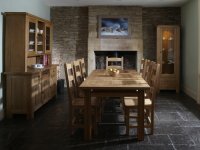 We offer FREE delivery on all Charltons Bretagne furniture orders over £1000 to mainland UK addresses! 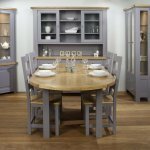 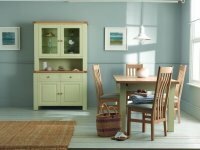 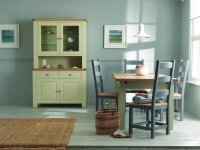 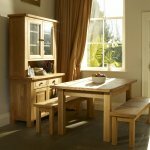 Click on each of the images of the Charltons Furniture Bretagne dining Collection below for a larger image and sit back and imagine how this modern oak dining furniture would look in your home.